S.K.SAINI: Severus Snape. To be an Animagus or not an Animagus? That is the question. Severus Snape. To be an Animagus or not an Animagus? That is the question. Anyway, imagine reading something you think you are a whizz at, only to find out something had slipped your mind the ENTIRE TIME! First of all, come on! 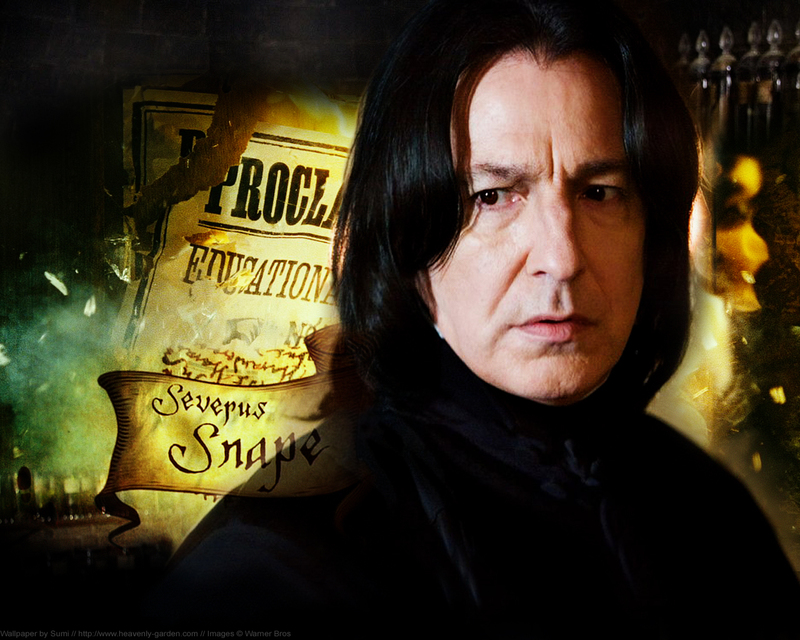 Snape is hot! He is such a badass. Okay, to start off, I have the LG Optimus phone, so you get android applications. I picked the Harry Potter trivias, and whizzed by them all! Except for one. It was a question on what form of an animal does Snape take? Now, throughout my whole knowledge of Harry Potter, I have never heard of Snape being an Animagus at all! So I quickly looked it up on the internet and found that there are questions and theories surrounding the fact the Severus may indeed be an Animagus. Crap, I forgot to tell you what Animagus means for those who don't know. An Animagus is basically a person that can transform themselves into a chosen animal (most likely based on looks and personality) with pretty heavy magic involved. Now those Harry Potter fans know who the main Animagus's are. Now, you see on that list that most of them are on the unregistered list, that means that they did it illegally, and the Ministry of Magic didn't know about it. Since there are so many unregistered Animagus's around, maybe someone else we know could be one and we don't know it?! Maybe it could be Severus Snape! 1. The Triwizard Tournament (GoF): Remember the Sphinx that Harry encounters? She gives him a riddle? "First think of the person who lives in disguise, Who deals in secrets and tells naught but lies." Now, Harry guesses that it could be a 'spy'. Because a Spy lives in disguise and deals in secrets and always tells lies. Now this reminds me of Snape. Snape in fact is a 'spy' for Dumbledore, always as been. He lives in lies as Voldemort thinks that Snape is really his faithful Death Eater, but he isn't. Harry was given yet another riddle to solve. "Now string them together, and answer me this, Which creature would you be unwilling to kiss?" Harry here, guessed the riddle to be a Spider. "Spy-spy-er-spy-er-spider!" (or something to that effect). He found out that a Spider will be attacking right after he is allowed to get past. Now who wouldn't want to kiss Snape? I'd sure love to, but not in his Spidey form of course hehe. 2. "Harry sat there staring at Snape as the lesson began, picturing horrific things happening to him . . . If only he knew how to do the Cruciatus Curse . . . he'd have Snape flat on his back like that spider, jerking and twitching. . . ."
3. "Harry looked around and glimpsed Snape a short way away, moving between the tables toward the doors into the entrance hall, still absorbed in his own examination paper. Round-shouldered yet angular, he walked in a twitchy manner that recalled a spider, his oily hair swinging around his face." 4. A hand had closed tight over his upper arm, closed with a pincerlike grip. Wincing, Harry looked around to see who had hold of him, and saw, with a thrill of horror, a fully grown, adult-sized Snape standing right bedside him, white with rage." This scene in the book is where Snape catches Harry peeking into his memories. Note his 'pincerlike grip'. Spiders have the habit of catching their prey with a 'pincerlike grip'. Eeeee, so exciting! 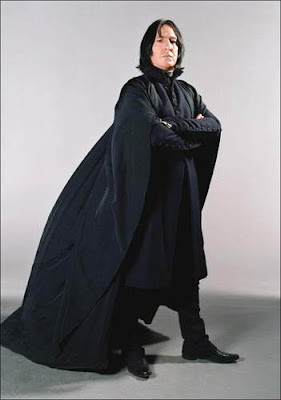 :D Snape has a 'prowling walk, likes to be in the darkness, cold black eyes and greasy hair'. 5. But it was no use-the spider was either so large, or so magical, that the spells were doing no more than aggravating it. Harry had one horrifying glimpse of eight shining black eyes and razor-sharp pincers before it was upon him." Now, note the 'shining black eyes' and 'sharp pincers' of the Spider. This scene was in the Triwizard Tournament, it was just after solving The Sphinx's riddle and Harry finding out that it was a Spider that will be attacking him. And of course the Spider is pissed, just like Snape is all the time. 6. Now Sirius mentions in Prisoner of Azkaban, that before Snape went into Hogwarts, he knew a lot of dark magic and curses than anyone! Now that brings us to his hatred with James Potter, Sirius Black, Remus Lupin and Peter Pettigrew (Prongs, Padfoot, Moony and Wormtail). Snape has always hated them, especially James. Maybe it was his undying love for Lily that made him hate him so much. Maybe he was already an Animagus before going into Hogwarts? 8. In Harry Potter and the Chamber of Secrets, Harry has a conversation with Aragog (who is Hagrid's Massive Spider Pet). He asks Aragog if he ever hurt anyone, to which Aragog replies that he was raised by Hagrid in the cupboard and that he has never hurt anyone and their kind like the dark and quiet. This reminds me of Snape, although like Spider's, they like to attack, which Snape does on most occasions, he attacks his students with venomous insults. Snape seems to come out of the darkness most of the time, wears a lot of black too (can you imagine him wearing colourful clothes?!). "Snape had imposed his personality on the room already, it was gloomier than usual, as the curtains had ben drawn over the windows, and was lit by candlelight." 9. In Harry Potter and the Order of the Phoenix﻿, Harry has his first lesson of Occlumency (which will help block Voldemort's thoughts, oops I mean He Must Not Be Named, out from Harry's mind). Harry is startled by Snape's voice speaking to him from out the shadows. The only light in the room is a candle and the pensieve. 10. Now you've read Chamber of Secrets. So you know about the Basilisk (A gigantic serpent). There is a clue here that Snape is a spider once again. Spiders flee before the Basilisk, for it is their mortal enemy, and the Basilisk flee's only from the crowing of the rooster, which is fatal to it. Do you remember when they find out that a girl (Ginny) was taken into the Chamber itself? Harry and Ron (in the invisibility cloak) go into the teacher's staffroom and overhear that the Bas﻿ilisk has taken Ginny. Now you'd think that Snape is a tough guy right? Wrong. ﻿Snape gripped the back of the chair very hard and said, "How can you be sure?" 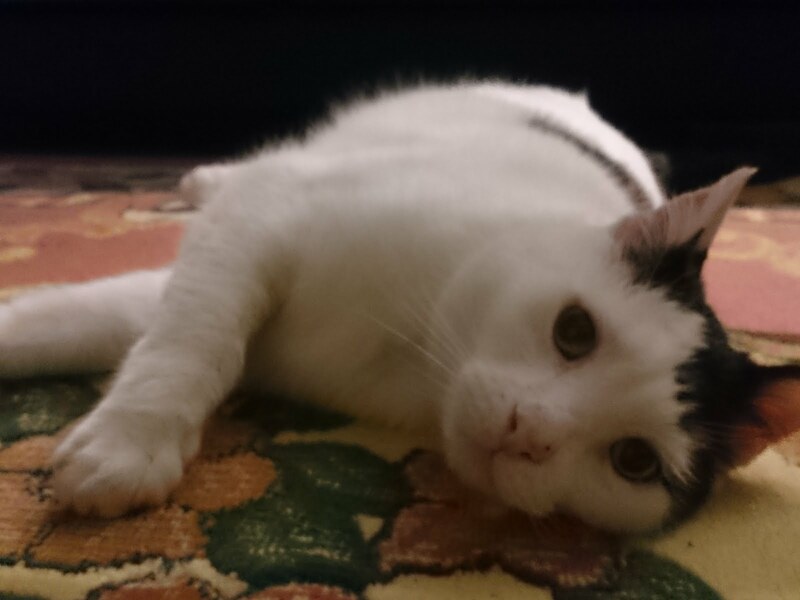 Now, I know everyone was scared of it, but we're really focusing on Severus at the moment. Maybe his spider senses started making him freak out, as spider's are scared of the Basilisk? I mean, it was SO easy for Hermione to figure out that the Monster was a Basilisk (right before she got stoned, haha get it?). So we know for a fact that Snape isn't as dumb as he doesn't looks hehe, so maybe he could've figured that out too? Right? 11. Now I found out something REALLY exciting! I think you'll jump at this. There is a kind of spider called Callobiius Severus. Spooky right?! More to come! 12. Now, I'm sure by now you guys are itching for MORE clues right? Now we will talk about his physical appearances like before. We know he lives in 'Spinner's End', likes dark and quiet places. 'Round shouldered, yet angular, he walked in a twitchy manner that recalled a spider, and his oily hair was jumping about his face." Now, if you've read the book heaps of times, you'll note that Harry describe Snape's hair and skin as being 'greasy' and 'oily'. Now if you look up Spiders, all of them produce a natural body of oil. s eyes as "glittering, gleaming and glistening'. Remember that 'pincer-like' grip Snape has when he finds Harry snooping through his memories? 13: Now get ready for something else exciting! In Goblet of Fire, Cedric and Harry 'ganged up' on the Spider when they encountered it. They used a disarming spell and the spider 'kneeled sideways'. Thank you Asha! It's a really good series hehe :) I have added you by the way. I found it on a few sites and wrote it up. I was shocked, I mean WHO KNEW?! Wow... while it didn't surprise me at all to read that Snape might be an Animagus, you've done a great job of finding the evidence! I wouldnt have guessed spider. Good work! isn't he always swooping down on them like a bat? Btw. watched deathly hallows part 2 today... aaaaawsssoooome! Well solved...Snape might be a multi animagus with the other fitting animal forms having the black color to his personality along with his spider form. Harry was used to spiders, because the cupboard under the stairs was full of them, and that was where he slept. In the first books, Harry lived under the stairs. There, in one of the later books mentioned to Ron, Harry had spiders that were rthere. I believe he thought that those spiders were kind of like friends(way more than his aunt, uncle, and cousin). So the spiders were looking over Harry just like Snape was doing after Lily died.